Thank you Kate for giving me the opportunity to work on such a fun and feminine space! I agree with Caroline. Where did you get the chandelier? 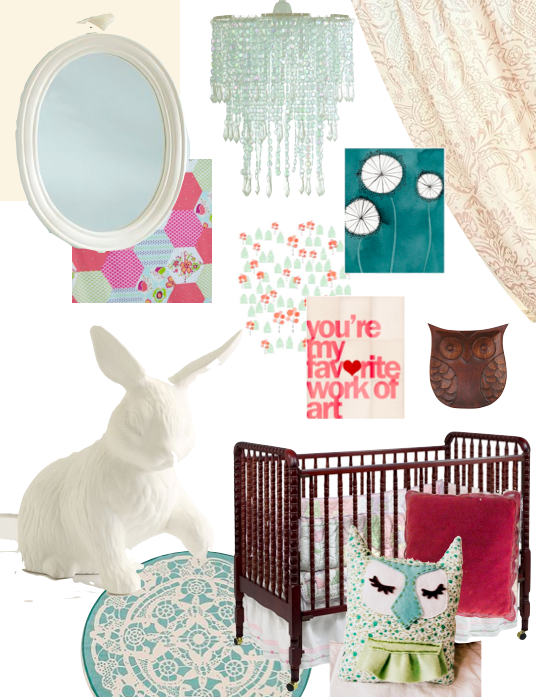 I am looking for something just like for my girls beachy turqouise room. love this inspiration board! thecoolkidsblog.com Glad to have found your blog! I'm super excited about bringing this room together. Thanks so much Lauren!! Brilliant choices, love that rabbit statue.